The Russian Ambassador was speaking to reporters after meeting Union Minister of State for Home Kiren Rijiju in New Delhi. 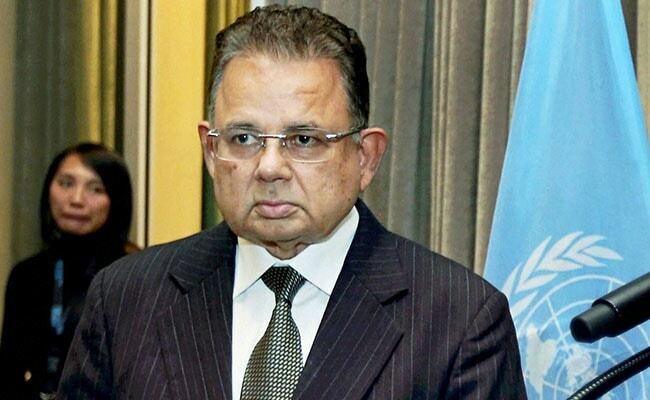 New Delhi: Russia congratulated India for Dalveer Bhandari's re-election to the International Court of Justice or the ICJ and said it demonstrated the strength of the global community. "First of all congratulations. My satisfaction is that the global community has demonstrated its strength. India's victory has added strength to the international court," Russian Ambassador to India Nikolay Rishatovich Kudashev said today. He was speaking to reporters after meeting Union Minister of State for Home Kiren Rijiju in New Delhi. The UN Security Council and the General Assembly Monday voted overwhelmingly in support of India after the United Kingdom withdrew its candidate, Sir Christopher Greenwood. Judge Bhandari received all 15 votes in the UN Security Council and 183 of the 193 votes in the UN General Assembly. Bhandari, 70, will have a nine-year term at the ICJ beginning early next year.